The love for food has accompanied man since the beginning of time. It may be defined as an eternal relation among man and food that never breaks up. Eating and tasting food are two different things. You may eat but not enjoy or taste it, thus tasting food is the same as tasting the country you are visiting, because flavor represent the essence the spirit and the identity of the city or village you happen to experience during a trip. Of course every country has its culinary culture, but tasting Albanian flavor is utterly a unique experience worth living. Who wouldn’t want to enjoy a typical traditional dish after a long tiresome walk with your stomach singing? Or spending a relaxing dinner eating delicious Albanian specialties? Albanian women are great cook, they cook with love and dedication, so as to make you never forget that particular taste that only Albanian culinary offers. It is now a well-known fact that Albania has a rich culinary culture. The geographical position and the tumultuous history have influenced enough to create a mix and rich cuisine, which can be traced in the whole country. From traditional Albanian, Turkish, Greek, Italian and French, culinary in Albania covers a wide specter of ingredients which are endemic, that’s why some dishes are characteristic of only one area. 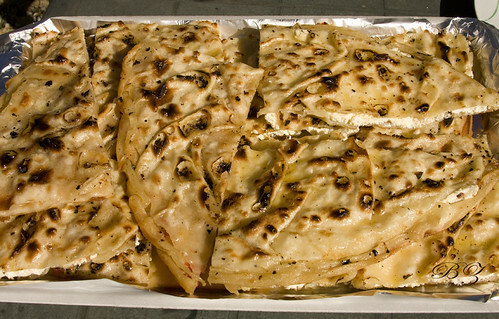 Take Tave Krapi for example, the most typical dish of the city of Shkoder. The main ingredient is krap fish (carp), which grows only in Shkodra Lake. Of course, the city is famous for other dishes as well, but none as much as this one. Or you may take Lakror, a typical dish of Korca area. Two layers of baked foils of flour filled with tomatoes, onion and butter then placed in a casserole. Best cooked and served in the village of Dardha, prepared with much love from “dardharka”-s, as the housewives of the village are called. Let’s take another city, Vlora, for example, otherwise called “Food from Laberia. Since Vlora is a coastal city it offers some of the most particular seafood cooking, such as “Ngjala me qepe” (eel with onion) or different cooking variations of a type wrasse that lives in those waters, known in Albanian as “koca”. 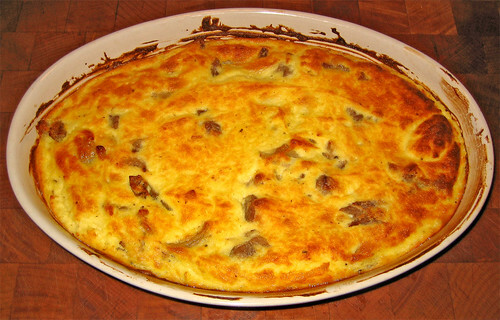 Harapash is another traditional dish cooked with cornflower, the insides of lamb, cheese and butter. Yummy! Well if you decide to travel to Elbasan city, you must not leave without tasting the delicious “Tave Kosi”, made with of yogurt, eggs, lamb meat, butter and a little bit of rice. But Albanian culinary culture varies depending on the area. South and North have their distinguished and individual dishes. Highland cuisine is characterized of a more salty and spicy food, more meat and no fish at all, whereas the southern cuisine is mainly dominated by seafood dishes and a large variety of salads. Ok, but what about desserts? Of course Albania culture is also rich of a variety of highly delicious desserts. Ballokume is typical of Elbasan. Kompekai, pengjir, dredhanik, sodanik are typical of Korca. Shkofr, tespixhe and haxhimakulle are typical of Shkodra. Kabuni is a traditional dessert of Vlora. Lakror – a type of pie, made of two layers and stuffed with different fillings. The most common lakror is stuffed with tomatoes and onion or with spinach and other herbs. 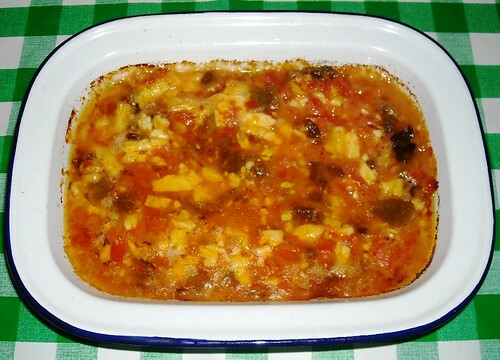 Typical dish of the southern east part of Albania, such as Korca and its villages. Highly recommended to eat it at Voskopoje or Dardhe. There some typical expressions when it comes to eating, before and after. Before starting to eat the cook uses to say to you: “Te befte mire” which means “May you enjoy the food”, or as the french say: “Bon appetit!” and when you have finished it would be considered a sign of respect and appreciation if you’d say: “Ju lumshin duart”…it’s a kind of great ‘bravo’ for the cook, that would make them happy you liked the food.